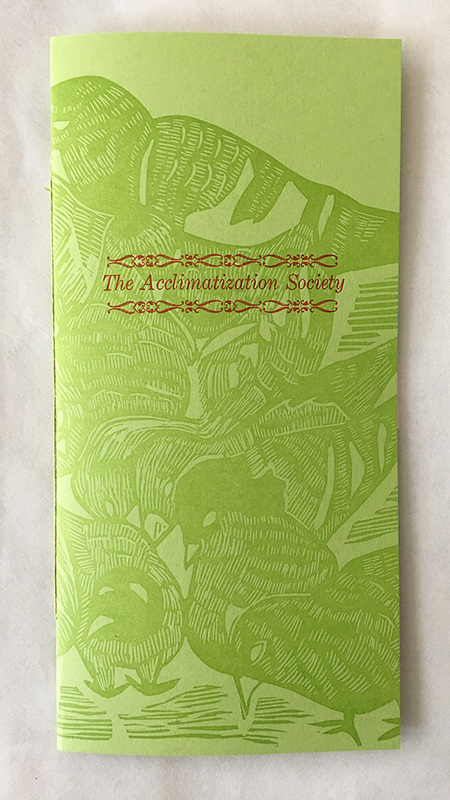 The Acclimatization Society is a new limited edition pamphlet about birds that are local to New York City, their adaptations, and survival tactics. 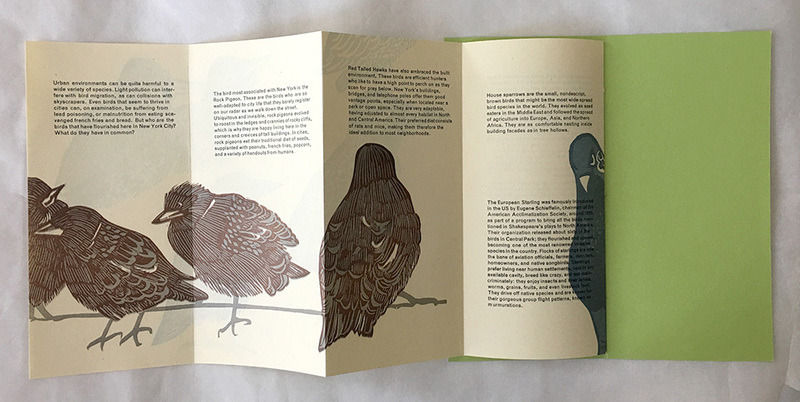 Focused on select native and invasive species in their urban habitats: the rock pigeon, red-tailed hawk, sparrows, and European starlings, the text also explores speciation—the process by which species adapt to circumstances, develop genetic mutations, and in time, evolve into new species. The title of the pamphlet references the voluntary associations in the 19th and 20th centuries that encouraged the introduction of non-native species into locations worldwide. 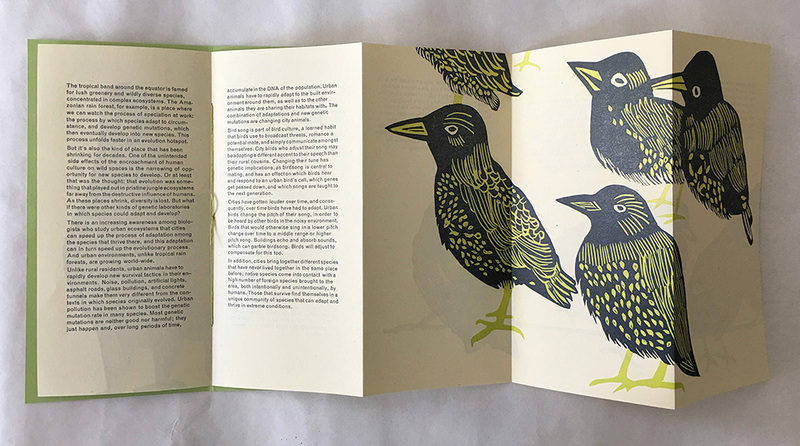 Printed in an edition of 250 for the exhibition Avifauna: Birds + Habitat, on view at Wave Hill, April 7-June 24, 2018.